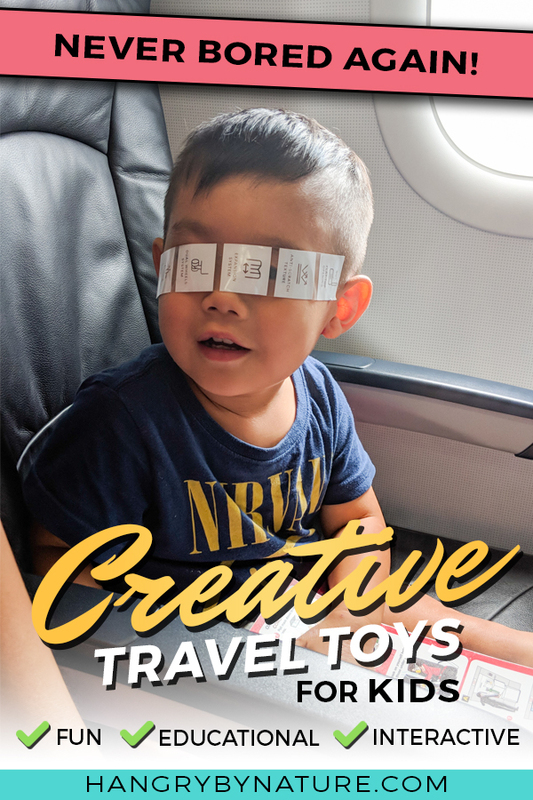 If you're headed on a holiday with young ones, then you need to get yourself one, or all, of these creative travel toys for toddlers to help you maintain your sanity. Travelling with young kids is a gruelling task. Not even going to fluff this up. You're going to be left completely exhausted, jittery, overcaffeinated, and possibly even on the brink of crazy. I used to love the journey. The thrill and sense of adventure before getting to your destination. Well, let me tell you something - once kids come into the equation, the journey quite literally turns into hell. You'll be kissing the ground when you arrive, thanking the powers that be for helping you come out of it alive. Sensing parents' sorrows of travelling with kids, businesses have come up with some real genius toys and tech that will seriously alleviate the pain of being confined in a vehicle or aircraft cabin with your procreations for what seems like forever. Take a look at this incredible list and prepare to be mind blown by these toddler airplane activities. 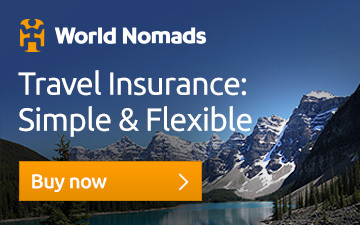 For more travel gear & accessories, take a look at these posts. Is This The Best Carry On For Parents? Take A Look. Let's be real - stickers are annoying AF. Especially when your kids are stickin' them everywhere and you find yourself (unknowingly) sitting on a T-Rex sticker and you're walking around running errands for the rest of the day with a dinosaur attached to your behind. Not cool. 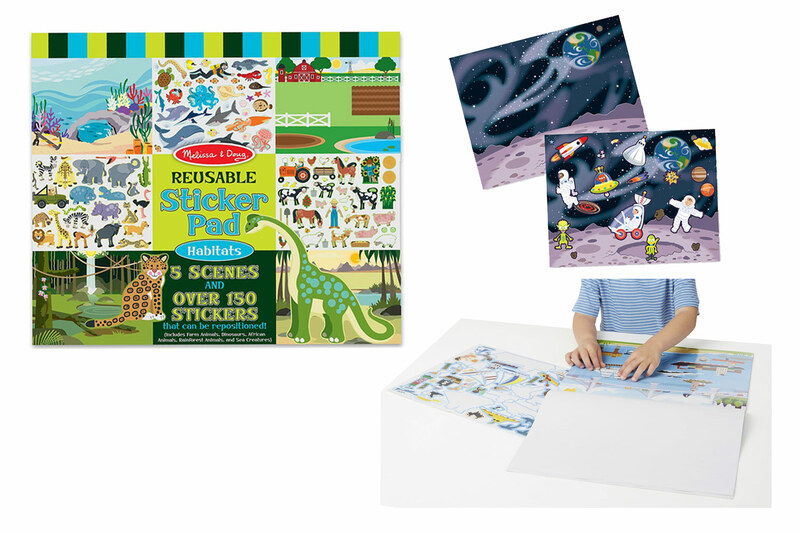 Melissa & Doug's Reusable Stickers & Pad are nowhere near half as annoying - plus, they don't stick on your clothes, so the chances of getting publicly humiliated are much lower. They're also perfect for travel, especially when you need to keep your restless toddler occupied one a flight. We travelled with these for 3 months, through 7 countries - and, they lasted all the way through. From hotel rooms to long haul flights - they've been a lifesaver keeping our two tots entertained. Stumped on how to start planning your family trip? Take a look at these useful travel resources to save you money and time. 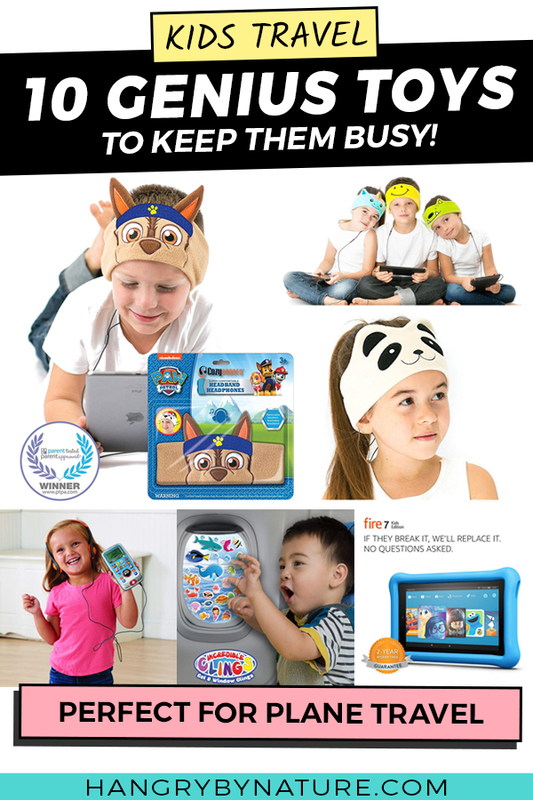 Mess-free, unique, and completely portable - the Kid O Free Play Magnatab is an innovative learning toy designed perfectly for families on-the-go. Let your tots create works of art with the simple use of magnets - the magnetic pen provided works by pulling beads to the surface with the sound of a click. And, guess what? The beads do not fall out - they are completely contained. No mess, no stress. This also defeats the problem of toddlers vandalising airplane windows, seats, hotel rooms, and perhaps even your face (actually happened to me while I was napping on the couch). 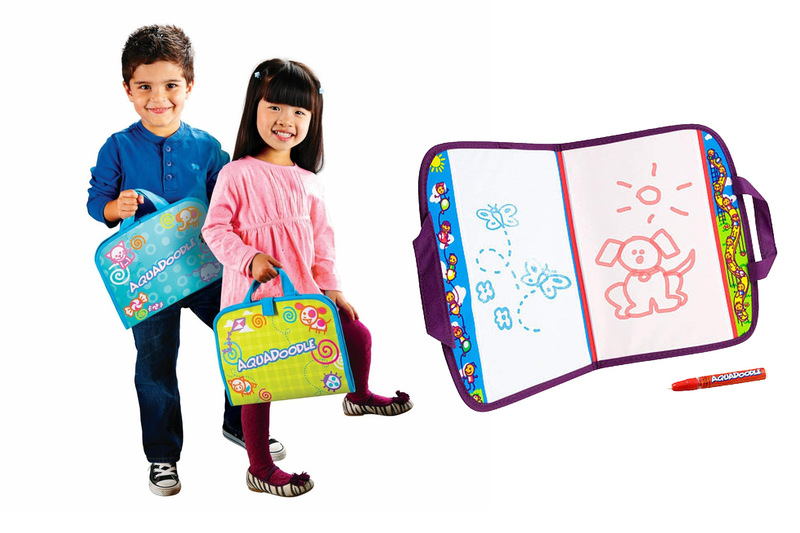 For more mess-free toddler airplane activities, with actual sketching and doodling involved - you can't look past the Travel Doodle Portable Activity Pad. Perfect for plane travel or road trips, just simply add a splash of water to the magic pen, and let your tot unleash his creativity. 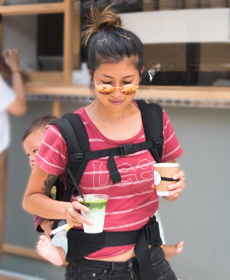 The activity pad folds up and features carry handles, making it super convenient to carry with you, or store into a backpack or carry on luggage. 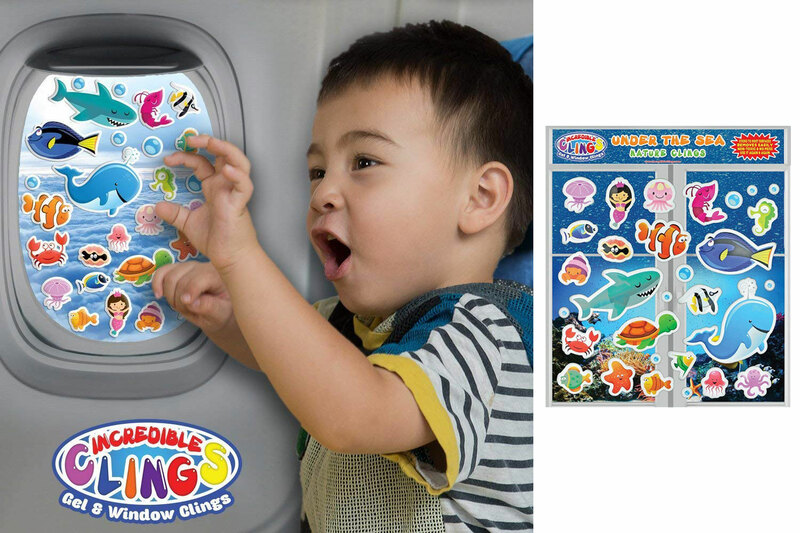 While this might not keep bouncy toddlers occupied for the entire flight, these fun Gel Window Clings will at least buy you some time to bask in some peace, or eat your meal so you can - I don't know, survive? Great for plane travel, these will also provide fun entertainment on long road trips (downside: your car window is not gonna look so flash), and in Airbnbs or hotels you're staying at. On the plus side, you'll definitely get your hotel deposit back given the reusable nature of these clings, meaning, no vandalism caused - everyone's happy. Wanna know what we travel with? Take a look at all the kids' gear accessories we haul with us, every single trip. To whomever invented this piece of genius - I literally want to send you virtual hugs. I spent just about half our long haul flight from Singapore to Melbourne readjusting my 3-year olds headphones because they would either slide off on their own accord, or he would accidentally yank them off in excitement. 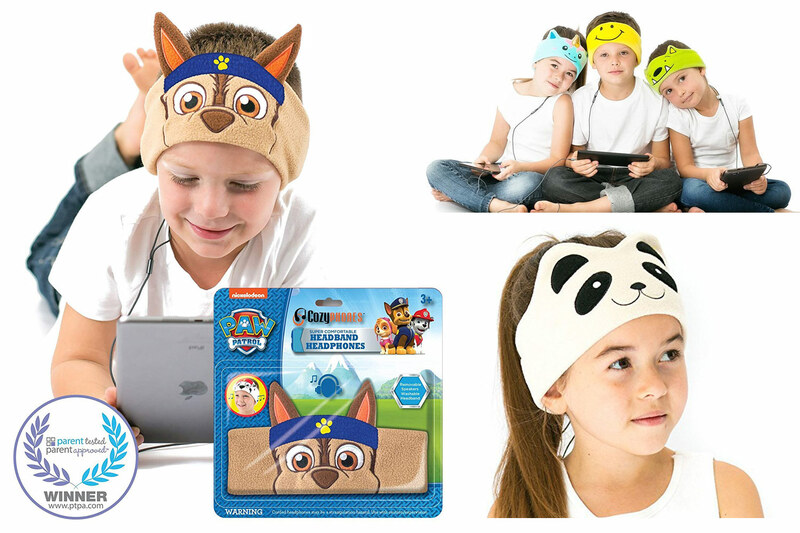 Not only do CozyPhones Kids' Headphones keep their ears toasty warm, but they also contain ultra thin volume limited speakers (meaning, they won't go deaf). No invasive earbuds or bulky headphones, AND they can be pulled down over the eyes and used as a sleep mask. Freakin' genius. 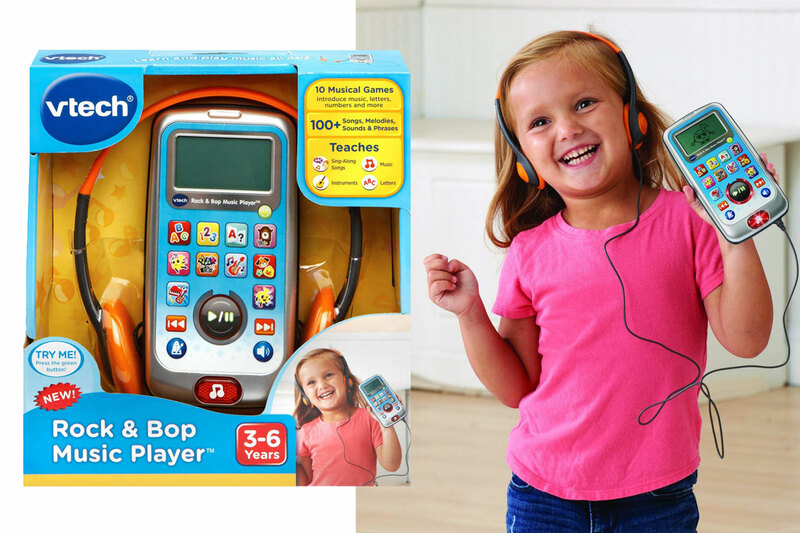 Before you introduce your kiddos to smartphones and tablets to keep them occupied during plane travel, take it back a decade to the era of MP3 Players and grab them the VTech Rock & Bop Music Player. The Rock & Bop plays ten musical learning games, with a variety of song genres, ranging from Classical, Hip Hop, to Rock, and comes complete with headphones so they can listen in private without blasting tunes on the plane and receiving neighbouring passenger complaints. 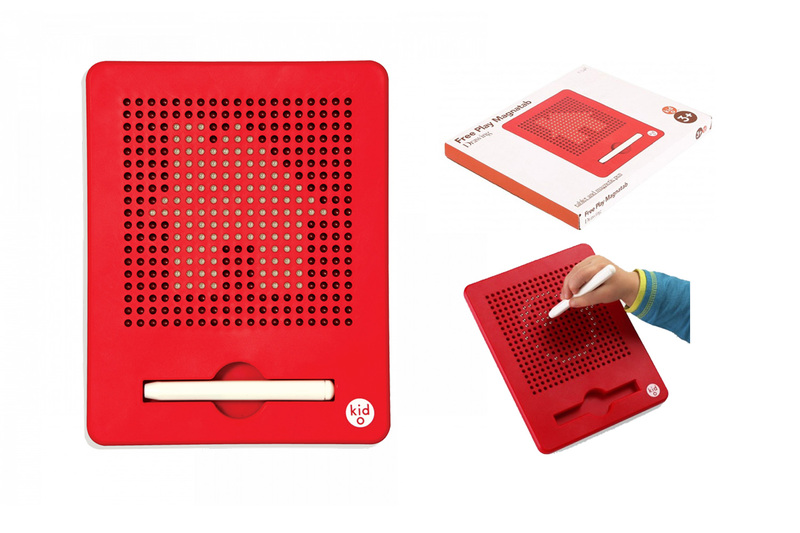 Super simple to use for kids aged 3-6 years, this is one funky tech toy that'll make younglings feel totally in trend. How do you survive with kids on an airplane when there is no in-flight entertainment? You bring your own. Pack their favourite movies and shows and bring them with you wherever your adventures take you. 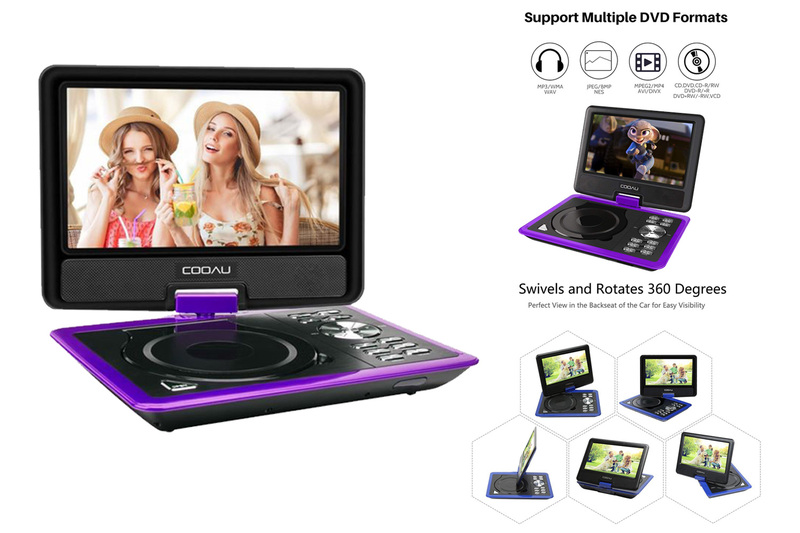 The COOAU Portable DVD Player comes with 5-hour battery life, and features an AC Power Adapter and car charger, making it perfect for longer flights and road trips. You know what's even cooler? It even comes packed with a game controller with 180 classic games, so the whole family can join in on the fun making the journey to your destination much less painful. Bury the fidget spinners and forget about them. 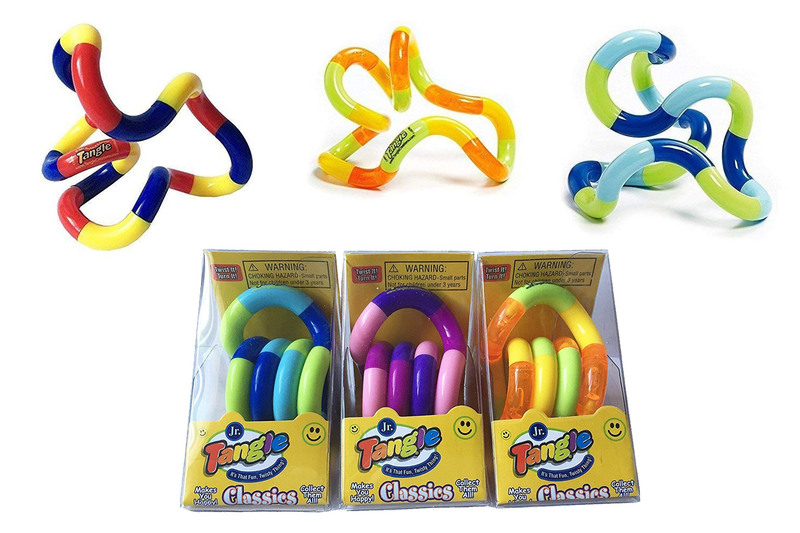 Fidget Tangles are the ultimate travel toys for toddlers who just can't seem to keep their sticky hands and feet still. Take them apart, put them together, or mould them into any imaginable shape - these are made for restless hands that have a mind of their own. Plus, who knows? 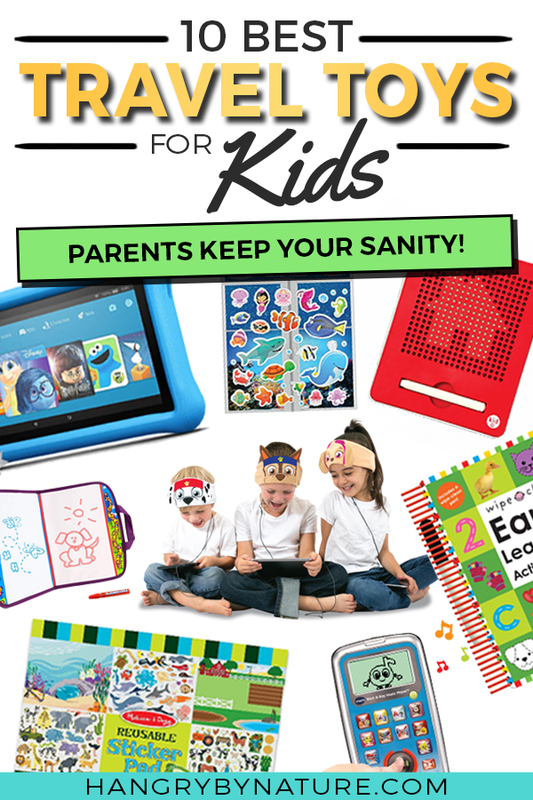 Parents might just find them fun for themselves and keep a personal stash hidden somewhere. Nah mean? Let's be honest, us adults really don't want to be sharing our smartphones or tablets with our kids. I mean, once the kids take that away - what do we really have to entertain ourselves? Nothing. Zilch. Well, folks, kids' tablets totally exist and you don't even have to invest hundreds of dollars into a savvy iPad or Android that you won't even get the chance to use. 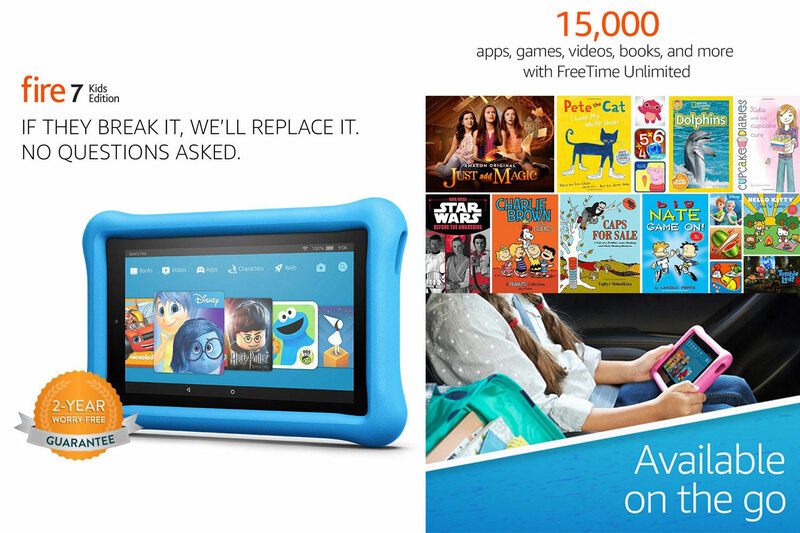 The Amazon Fire 7 Kids Edition is a tablet completely designed for little fingers, and is even encased in strong and durable rubber, making it truly kid-proof. With up to 8 hours of battery life, 16GB internal storage, and access to 15,000 popular apps, games, videos, and books - this is one heck of a toddler travel toy that is guaranteed to keep them busy for the entire duration of the journey. An activity book that you can use over and over again? Alright, take my monies. 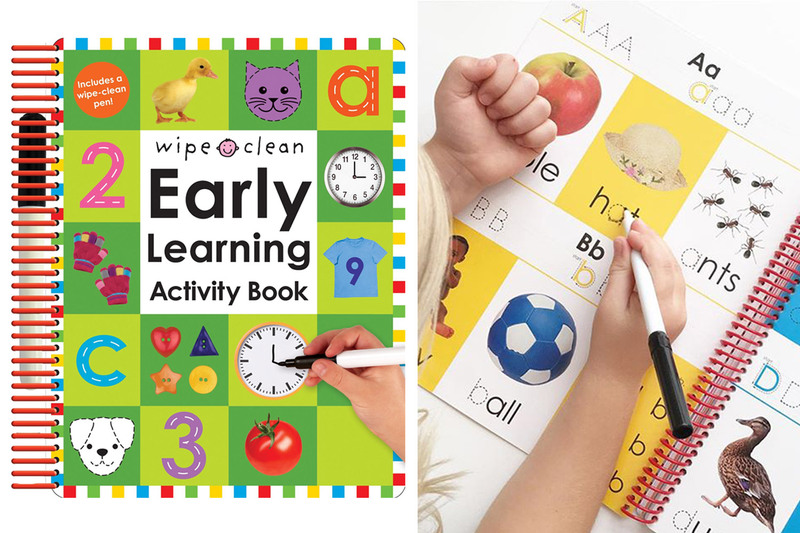 Perfect for use on-the-go or to keep little ones occupied at home, the Wipe Clean Early Learning Activity Book encourages kids from 3 years onwards to practice their writing and number skills, as well as drawing and other learning activities over and over. Never worry about running out of activities or doodling space again, just simply wipe the page and start over. 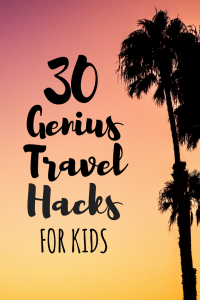 I hope this inspiring list helps you survive travel with your little ones - if there's one piece of advice I can give, it's to never get discouraged and continue doing it. I promise, it does get easier the more you travel and, in turn, your little ones will become more seasoned travellers and less of a public nuisance. For more inspiration on what to pack for your travels, take a look at all the gear and accessories we take with us on every single trip. If you're looking for the best deals and ways to save money for your upcoming family holiday, make sure you check out our Travel Planning page to discover the cheapest dates to travel, family friendly accommodation, and how to get around with kids overseas. Best of luck to all the brave parents out there bracing themselves for travel with kids. May the force be with you, because you'll probably need it. Got more to add to this list of travel toys for toddlers? Drop them in the comments below. DID THIS ARTICLE HELP YOUR FAMILY TRAVELS? Join thousands of followers who love my family travel tips (and weird sense of humour). Get more travel hacks & guides delivered straight to your inbox. Promise no spam.